The Polestar 2 will be the first all-electric vehicle from Polestar, a sub-brand spun off Volvo. Not much about the car itself is public yet, but thanks to a new demo of the infotainment system, we have some idea of what it’ll be like to be behind the wheel. The car will use one of the first Google-based automotive operating systems. And if the final product looks anything like the new demo, then this marks the beginning of what we hope is an industry-wide turn away from the maximalist, multi-screen interfaces you see in almost every modern car. Unlike Android Auto or Apple CarPlay, where you connect a phone to the vehicle to give the car’s system a phone-like interface, the Google HMI (human machine interface) streams music, displays calendar appointments, and talk to the Google Assistant using the car’s LTE connection. The system will probably be able to sync up with your phone, but can operate independently. That means no plugging in or syncing up. In practice, this builds on Volvo’s existing operating system (called Sensus), which is already among the more intuitive interfaces on the market. Much like the tablets in Teslas, Polestar’s system keeps certain actions like the temperature setting and seat heaters quickly accessible from the home screen. From there, the driver has quick access to apps like Google Maps, Google Calendar, and music (via Google Play and Spotify, at least in this demo). The fixed top row is where you choose your driver profile, presumably for things like seat settings and phone pairing. The top row is also where you access a top-down 360 camera, and driving settings like steering feedback and regenerative braking. This might sound mundane, but if you’ve driven just about any car manufactured within the last five years or so, you’ve seen how insane user interfaces have gotten. The climate control wheels on new Range Rovers, for example, change function when you depress them, which is indicated by the instructions “Push for Seats.” The Porsche Panamera’s center console is packed with obtuse buttons: CAR, CLIMATE, HYBRID, ASSIST, SET. Yes, Polestar’s solution to this button crisis could mean moving the controls for climate, or adjusting the ride could mean a potentially confusing system of sub-menus means. That’s why Polestar’s Google Assistant function becomes interesting. Generally, I’ve considered Alexa and other voice assistants to be unreliable, and not obviously better than just using the music or weather app on my phone. But in the car, where you have more patience for having to repeat yourself, and where staring at a screen isn’t an option, voice assistants make sense. 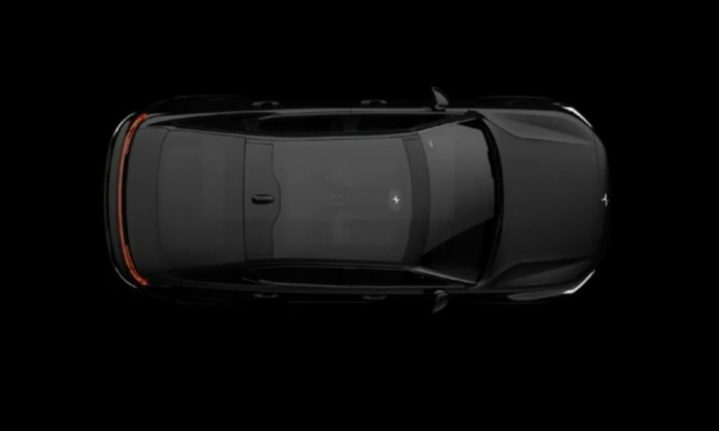 Polestar’s demo shows that it will make sure of the Google Assistant, hopefully with functions beyond choosing music or setting the navigation system. Imagine being able to just tell the car to set the temperature to 72 degrees, or change from a podcast to SiriusXM. So far, we know that the Polestar 2 is a four-door sedan with around 300 miles of range, 400 horsepower, and a price that will make it a competitor to the Tesla Model 3. The final car will be shown this March at the Geneva Motor show, and production is expected to begin later this year. We’ll know in a few months if Google and Polestar clear the low bar for a better human-car interface.